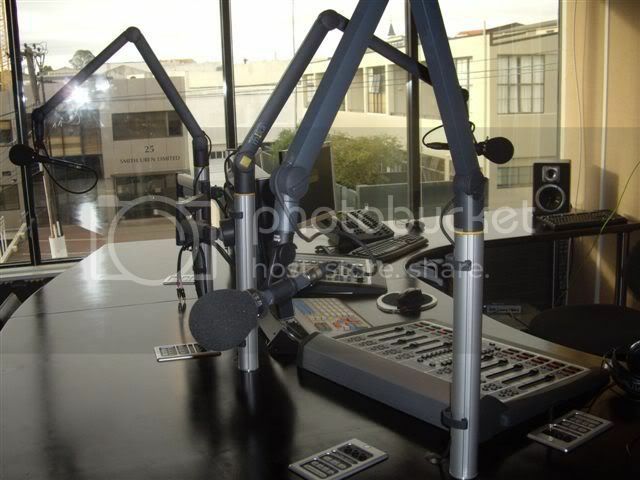 [Here are some photos from installation of MAI FM main ON AIR studio (www.maifm.co.nz). The work is in the progress, but I wanted to share with you this early pix. 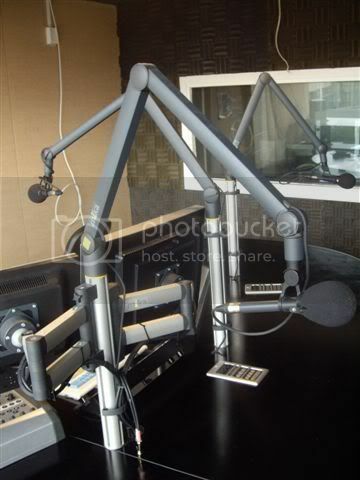 The equipment is supplied by AVC- Auckland, and facility is designed and installed by StreamCom. What you can see is installed in 3 days, including running CAT6 cables. Now the station is already on Air. You can check it out at [url]http//:icast1.streamcom.net:8000/MaiFM886.aac.m3u[/url] (AAC-HE stream). The furniture is low budget but looks good and it is very functional. All equipment is built in to the table surface. I used a 3D CAD to position the gear and create drawing and then the table top was cut with CNC by kitchen guys. Axia gear in the studio is placed in the standard 14HE high 19� metal cabinet which is placed below the table surface. In the cabinet apart of Element PSU, mic and line nodes and CD is a CAT6 patch bay what is studio only connection to the outside world. Most of the 12 lines (most are just spare) are going to the Central Appliance Room (CAR) located floor below the studio facilities (there are 4 studios, two on air and two productions). 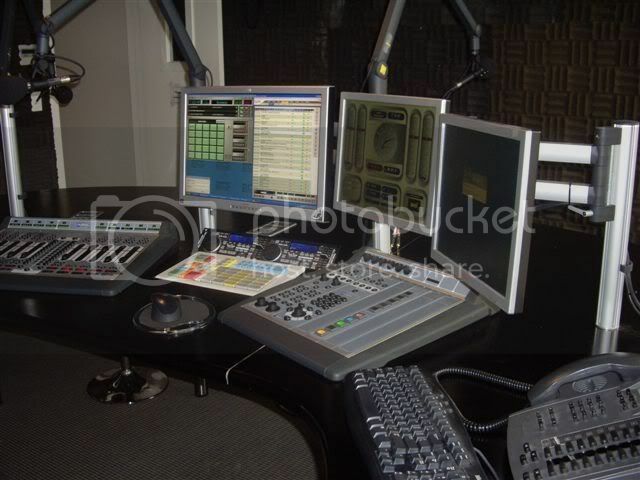 The Equipment in the studio is split Element console, in the middle is a PREH keyboard (remote for RCS), and TASCAM CD controller. 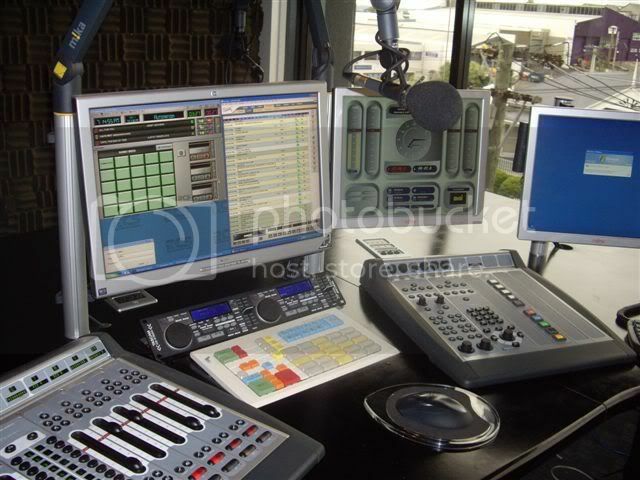 MAI FM uses RCS playout system and for that is used large 23� LCD screen. On the right is a Telos Director for telephone call screening. The Hybrid is all ISDN Telos TWOx12 placed in the CAR. All LCD screens and microphones are installed by using m!ka studio system, what really makes very tidy installation � really smart system. Host consoles are by XI-Audio and provide integrated Head Phone amplifiers and remote control for mute and talk back also very sharp good looking and sounding system (connected directly to the Element GPIO with CAT6 cables). One of the biggest installations specifics is that all installation is done by using pre made, of the shelf cabling; CAT6 and audio cables (RJ45 to XLR,RCA). Pre made cabling system is manufactured by XI-Audio; no soldering or punching real plug and play! Large table top provides ergonomic placement of all components. The Element at the left has all together 10 channels. In the middle is 2x12 telephone module. Operator has literally under fingerprint all required controls. 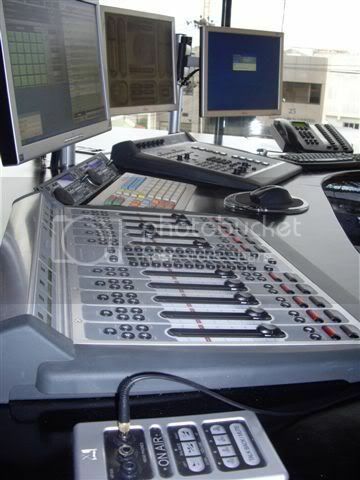 At the left are microphones channels, CoolEdit, and CD, and at the right are 4 faders for RCS playout system. The CDs have fader start controls. Operators are �aloved� to shift channels as they like. At the right is the Element with master module, and LCD programmable buttons. Each DJ can select his own Show profile group. Each group has following profiles: ON AIR, Recording, and Voice Tracking. 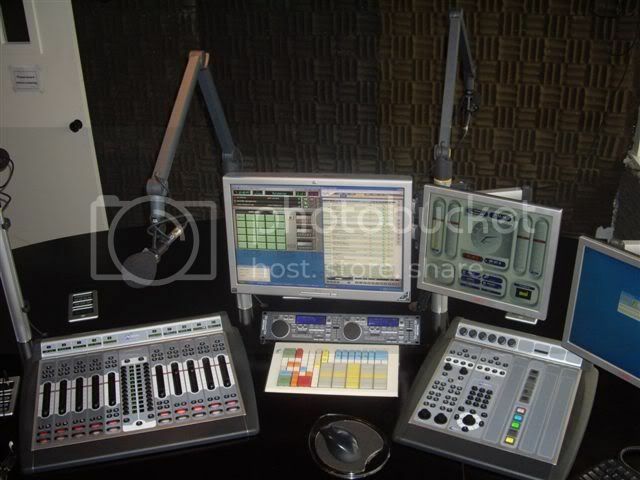 The configuration of the entire mixing console for different task is literary by pressing single button. The �Other side� is clean and tidy thanks to m!ka. 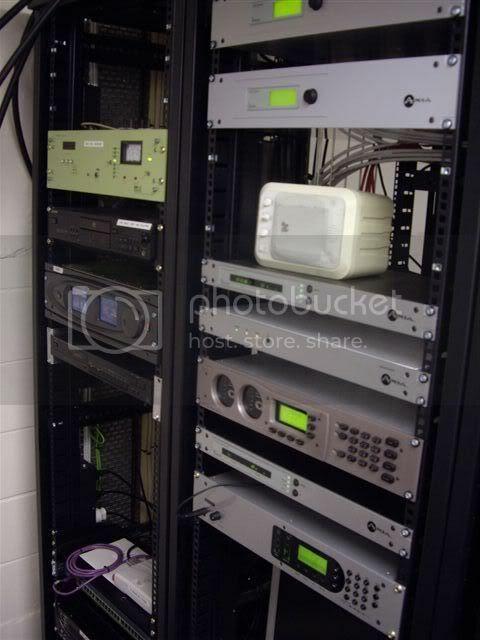 There is also a DAB multiplexer (on other side of the rack). The networking is at the back, and here we are having two units of HP 2626 one active and secon unit warm spare. Whole system is still under construction and once completed I will post all photos with some more (techical) details.